Never miss the chance to grab your customer’s heart by offering them a long awaited gift like custom single function clip on pedometers. 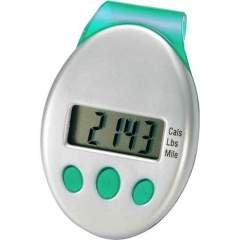 Just gift them this time with a personalized clip on pedometer so that they could clip it on to their collars or belts. 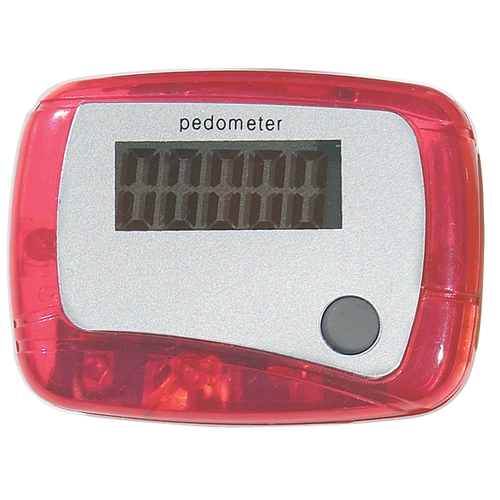 The pedometer counts every step from 1 to 99,999 steps they take to attain a healthy physique. 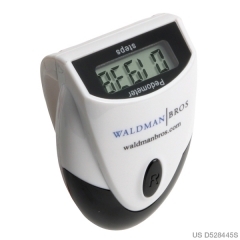 You can have enough space on a customized single function clip on pedometer to print your logo and brand name. This will get noticed every time your customer uses it during their daily activities. 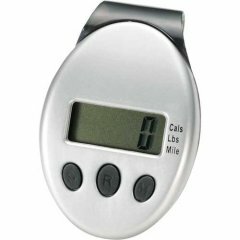 Promotional single function clip on pedometer comes with a molded clip on back belt attachment that helps the user to fix it anywhere he likes. The easy to read display and the attractive pink color definitely catches the attention of others. It is a cool promotional item that can bring you scalable results.